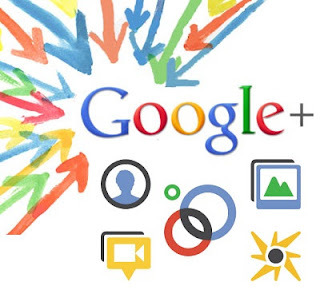 Google Plus is social networking site similar to Facebook but it is the most useful site for seo purpose. It was launched on June 28th, 2011.You can create a personal account, a business page, add people to circles or manage hangouts on this social media platform provided by Google. Stories shared on Google plus are indexed almost instantly by Google. Hence, you can use the power of Google Plus in making instant indexing. Google Plus is growing with a network of more than 400 Million people. Sharing a story on a popular social network such as Google Plus would increase the chances of higher visibility and user engagement. Plus ones are a direct indication for Google that your site is having quality content. Quality content that are voted by people are ranked high on the search results. Getting a Google + Badge would help your Google + page get more visibility and more followers. Pages recommended by you would show higher up on your search results when keywords related to the web page are searched.This would help your friends to discover content recommended by you more easily. Post visibility would enhance thereby helping in the seo efforts. Rich snippets can make your social share look awesome and would help in getting more user engagement and visibility. The greater visibility helps in getting more traffic and backlinks, ultimately helping in your seo efforts. Linking to your Google plus profile from the web page that has content written by you can lead to the passing of the author rank. The more the author rank, the higher the chances that articles written by you would rank higher on Google. I as well as my buddies were found to be viewing the good helpful hints on your web blog while before long came up with an awful suspicion I never thanked the website owner for them. Most of the guys became for that reason joyful to study them and have now absolutely been enjoying them. Thanks for turning out to be really accommodating and for settling on this sort of ideal issues millions of individuals are really desperate to discover. My very own honest apologies for not saying thanks to you earlier.